Get yourself or someone you know one of these limited-edition Christmas Trophy Tackle Boxes and you’ll set them up for the next fishing season at a spectacular value. 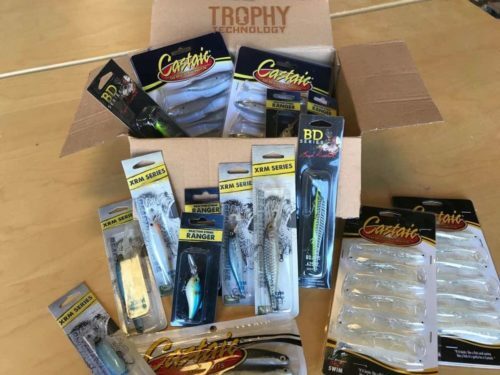 These $99 Trophy Tackle Boxes contain $200 in products and ship free. A smaller $49 option is also available. The limited-time Trophy Tackle Box includes some of the best and newest lures from Reaction Strike, Castaic, BD Baits, Kitana Hooks, and Backstabber Lures. Colors and exact models may vary.